If, as predicted, direct action over coal-fired power stations and airport expansion increases (and the number of arrests rise), there will be more and more effort on the part of defendants to use the defence of 'necessity'. That is, the defendant's conduct was necessary to prevent a greater harm taking place. The defence of necessity rarely succeeds in English law. What was so interesting about the cases of the Kingsnorth Six and the Drax 29 was the degree to which the judges did or did not allow the defendants to explain their motivation. 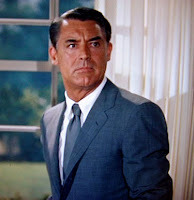 The Wiki entry on necessity uses the example of the drunk driver who had to escape from a kidnap - just what Cary Grant has to do early on in North By Northwest. Half a pint of bourbon is poured down his throat, and then he himself is poured into a car, and the car heads towards the edge of a cliff. Two almost incidental remarks stayed with me after seeing The End of the Line last night. The documentary charts the crazy path we've taken since the 1950s with the large-scale industrialisation of fishing. Plenty of gloomy graphs back up the science. Many fish are on the verge of extinction. At one moment in the film Charles Clover, author of the book on which the movie is based, discusses the oceans and finite resources and says what is needed is 'a new philosophy'. Our idea of oceans needs to be rethought. In the Q&A afterwards, the movie's producer Claire Lewis described the importance of bluefin tuna to the Japanse in cultural terms. She said it was easy for us to underestimate the part that bluefin tuna plays in Japanese culture. Last night the author and environmentalist Bill McKibben got to tell American comedian Stephen Colbert about the 350.org campaign. The sci-fi author Tobias Buckell, acclaimed for his action sequences and fast-moving fights, wants to write something that deals with the big environmental issues. Novels have a new type of ending. It's more complete. Artists, in a sense, are the antibodies of the cultural bloodstream. They sense trouble early, and rally to isolate and expose and defeat it, to bring to bear the human power for love and beauty and meaning against the worst results of carelessness and greed and stupidity. It would be nice is this were true. But it isn't. Very few artists sensed the problem early, or, even if they did sense it, very few did significant work on the subject until the last two or three years. The fascinating question is: why was that the case? The reason the arts have a central role in any discussion about climate change is that climate change presents questions that go to the heart of our ideas about value, faith, and identity. Put simply: it's through the arts that these dilemmas can be most richly imagined. Yes, climate change is complex scientifically, but it is also complex socially. The arts are not there merely to publicise the threat of climate change. They're not a marketing tool. They're not in the problem-solving business. But they are in the problem-stating business. In an interview Jonathon Porritt gave us, several years ago, he discussed the almost-impossible relationship between environmental campaigning and the arts. But leaving people to make up their own mind is what the arts do. The point was made again this week, in another context, in a discussion of Barack Obama's two books. The reviewer remarks that many readers have found Obama's first book Dreams From My Father, a personal memoir, far more interesting than Audacity of Hope, a campaign book. One book is about questions, the other about answers. Richard Overy's new book The Morbid Age: Britain Between The Wars offers some interesting parallels to public attitudes today towards climate change. Gracie Fields, George Formby and Bud Flanagan did not live in the expectation of social collapse, nor did the West End theatre. a sort of osmosis whereby a few radically reduced and simplified concepts – ‘the survival of the fittest’, ‘capitalism’, ‘inferiority complex’, ‘the unconscious’ – somehow enter the public or private discourse as recognised brand names. This blog has notched up its 150th tweet today (and that's nothing: Stephen Fry has done 3,531). So, while still a newbie, there's one thing this blogger has learnt. Twitterers love lists of Top 10 Things.